Take a break from the city and head to Manly Beach and Wentworth Falls. Your cultural itinerary includes sights like The Rocks and Sydney Opera House. Explore the numerous day-trip ideas around Sydney: Blue Mountains National Park (The National Pass, Grand Canyon track, & more), Blackheath (Perry's Lookdown & Evans Lookout) and Leura (Fortress Rock, Everglades Historic House and Gardens, & more). Spend the 9th (Mon) exploring nature at Sydney Harbour National Park. Spend the 29th (Sun) exploring nature at Bradleys Head Trail. The adventure continues: kick back and relax at Bondi Beach, examine the collection at Australian National Maritime Museum, take a stroll through Darling Harbour, and admire nature's wide array of creatures at Sea Life Sydney Aquarium. To see photos, where to stay, reviews, and more tourist information, read our Sydney trip itinerary maker tool . If you are flying in from United Kingdom, the closest major airport is Sydney Kingsford Smith International Airport. 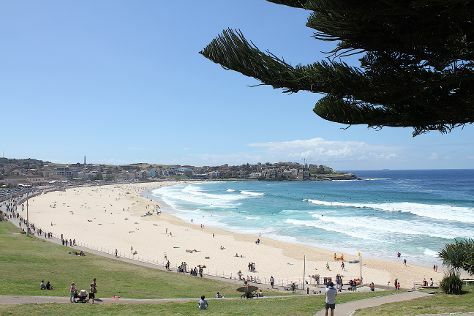 In September in Sydney, expect temperatures between 25°C during the day and 14°C at night. Finish your sightseeing early on the 4th (Fri) so you can travel back home.